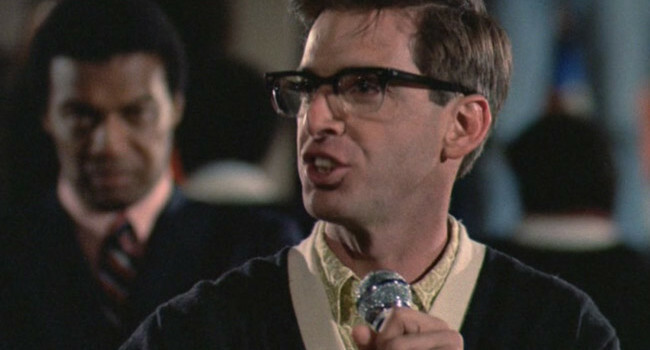 In Revenge of the Nerds, Lewis Skolnick (Robert Carradine) is comfortable with being a nerd. In fact, the computer science geek shamelessly embraces every stereotype imaginable from wayfarer eyeglasses to pocket protectors. He doesn’t even have to worry about getting wedgies from the jocks. His pants are already pulled up as high as they can go. 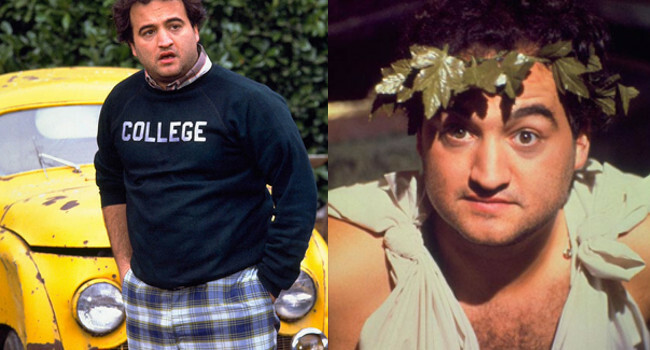 John “Bluto” Blutarsky (John Belushi) plays a drunk, seventh year college student in National Lampoon’s Animal House. He’s famous for his impersonation of a popped zit but despite his antics he somehow ends up as a U.S. Senator.